Why healthy gifts? Small changes lead to big results! For instance if you give someone a fruit-infusion pitcher (below) and they begin drinking more water, the changes that person can see in their life would be HUGE! Better digestion, clearer skin, better mental clarity, increased energy, the list goes on. Below I’ve compiled my favorite healthy gifts for all types of people! Ranging from stocking stuffers to big ticket items, you’ll be sure to get some great ideas for your loved ones. Each one of the items I’ve picked out below have a greater health purpose and are truly a gift that keeps on giving! Note: I’ve used most of these items, but some are still on my own wish-list! Not all comments below are from my own personal experience, but my affinity for the product and good reviews I’ve discovered. If you’ve tried any of these items or have any feedback, please comment below! BlueAvocado Cafe Lunch Tote – By far the cutest lunch box I’ve ever seen! 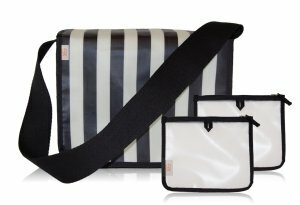 It is reusable, washable, eco-friendly, and insulated for up to 6 hours. It comes with two little reusable packs for snacks such as nuts or veggies that can replace plastic baggies! 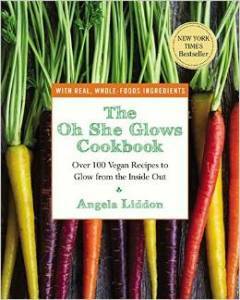 Oh She Glows Cookbook Written by one of the most popular vegan food bloggers on the web, this cookbook has over 100 delicious and healthy recipes any health nut would be sure to appreciate! Some of the recipes include Crowd-Pleasing Tex Mex Casserole, Empowered Noodle Bowl, and Chilled Chocolate Espresso Torte with Hazelnut Crust. 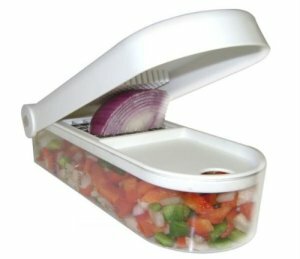 Vegetable Chopper – You’ll never look at chopping veggies the same! This handy gadget cuts prep time in half. There is something really satisfying about watching a vegetable chop into several perfectly cut pieces in less than a second! I use the “Kitchen Basics” brand and am very happy with it, but I’m sure there are other brands that work just as well if you’re looking for a different style or color. 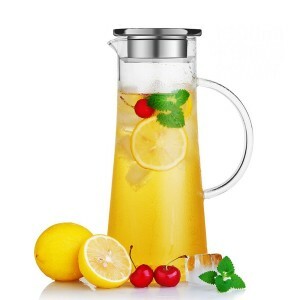 Fruit Infusion Pitcher – Do you know someone who could drink more water? Chance are we ALL can and should drink more water, it is the secret weapon that keeps all our body’s functions operating efficiently. Infusing water with fruit, lemon, or herbs makes getting your 8 glasses a day much more enjoyable! 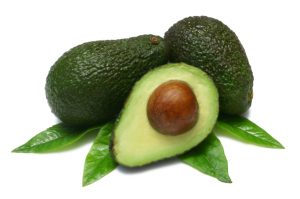 Avocado of the Month Club – Quite possibly on of the most unique gifts I’ve seen, who WOULDN’T love to receive this? Three pounds of Premium California avocados delivered to my door each month sounds more like “I love you” to me than pears or oranges do! 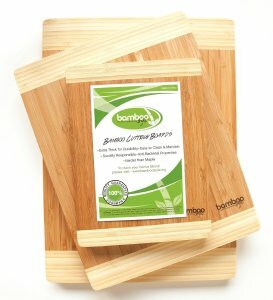 Bamboo Cutting Board – Everyone needs a great bamboo cutting board in their kitchen! They’re stronger yet lighter than other wooden cutting boards. They are eco-friendly, anti-bacterial, and will not dull your knives. I also use my bamboo cutting boards as serving plates or as a backdrop for great foodie pictures! 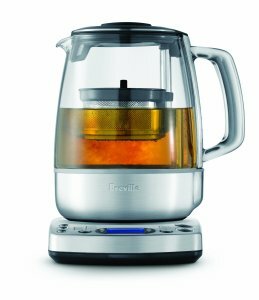 Breville One-Touch Tea Maker – I’m sure you’ve seen all the fancy at-home espresso and coffee makers, but what can the tea lovers use? This cool gadget adjusts the brew time and water temperature depending on the tea varietal (green, oolong, black, or white tea) and is completely programmable, so your loved one will always have a truly perfect cup of tea! 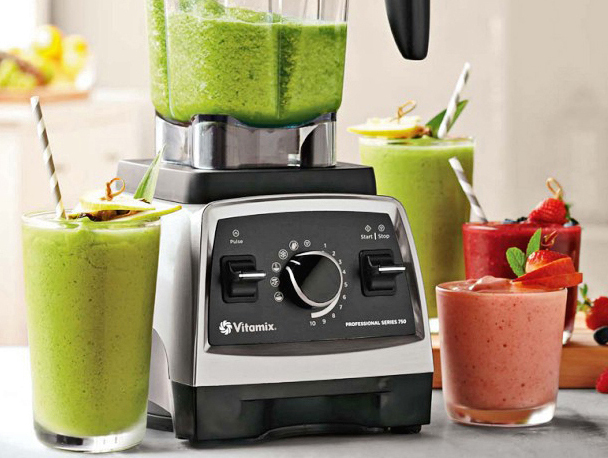 Vitamix Blender – I feel like any gift list can’t be complete without mentioning a Vitamix. I received my own as a gift and I can honestly say it has been the most used gift (and most appreciated) that I will likely use for decades to come. 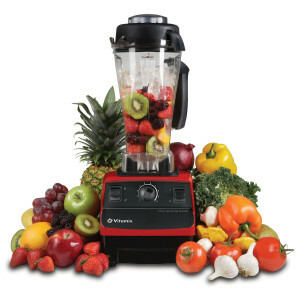 The quality is fantastic and a whole new world of healthy eating opens up when you have access to a high-powered blender. I saw if you order in December you’d receive a free set of spatulas! 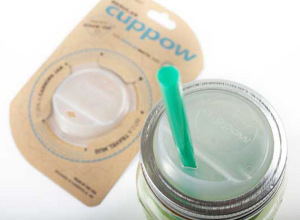 Cuppow – These amazing lids turn regular mason jars into travel mugs! They come in a variety of colors and make a very practical gift that will be used again and again, all while keeping your loved ones away from BPA! 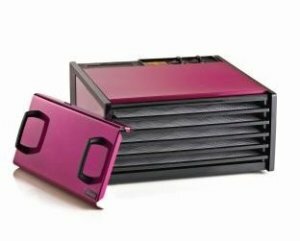 Excalibur 5 Tray Dehydrator with Timer – I don’t have one YET…but this is for sure on my wish list! The fact that it comes in pink is a bonus in my book. The uses for dehydrators are endless, it is one of those kitchen appliances that is not required but definitely appreciated if you have one. You can make fruit/veggie chips, crispy nuts + seeds, crackers, granola, cookies, macaroons..the list goes on. Cranberry Orange Walnut Muffins – Christmas breakfast anyone? Baked Corn – I’ve made this for various gatherings this season–it is always the first dish to go! Holiday Baked Cinnamon Apples – A fantastic breakfast or a healthy dessert. Pumpkin Cheesecake Parfaits – This also makes a delicious pie filling!